Video demo of the patient management tools currently being used by Health Extension Workers on our project. This video shows the mobile protocols (using ODK), the mobile scorecard and analytics dashboard. 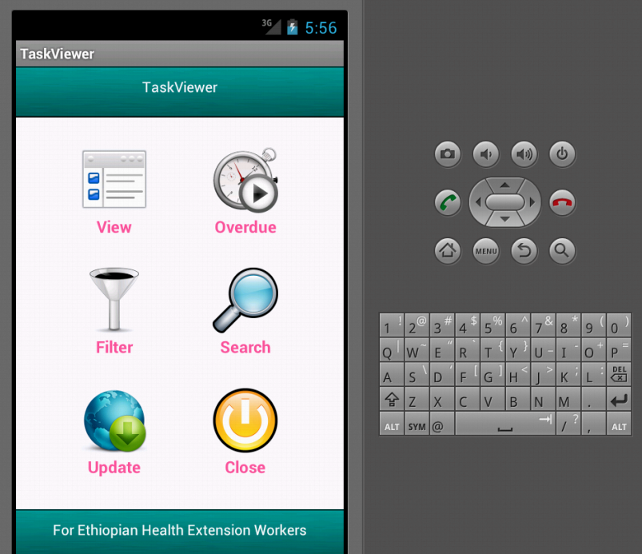 We’ve recently been looking at how we can embed some of the Open University HEAT training content (for HEWs in Ethiopia) onto mobile phones and have these integrated alongside interactive self assessment questions (SAQs). 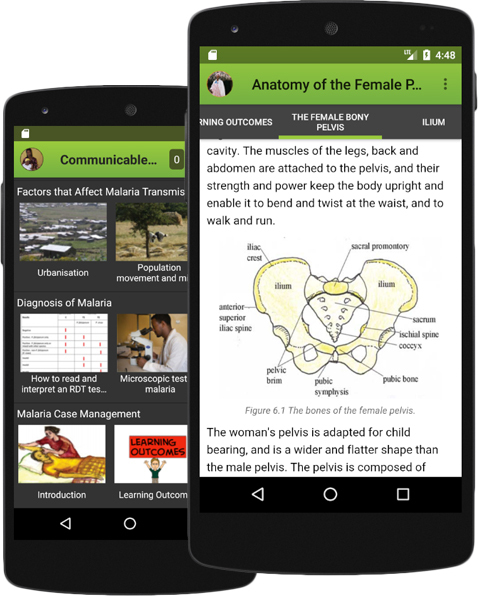 We restricted the content to just putting the introduction, learning outcomes, summary and SAQ for each of the study sections, otherwise there is far too much text content for users to comfortably read on screen – so this is designed to supplement (rather than replace) their existing course manuals. The quizzes can be taken anytime, whether they have an internet (GRPS) connection or not, and results are submitted back to the mQuiz server (or stored for later upload if no connection is currently available). All the content and quizzes are stored directly on the phone. Users need an internet connection to initially log in, but once logged in they won’t need to re-enter their details (unless they log out or change their password). Their SAQ results are stored on the phone, along with a ranking for how they have performed against others who have taken this assessment exercise. The next steps are to test embedding video and audio content. Thanks to all of you who took part in our Mobile Developer Challenge, we’ve spent that last couple of days reviewing the applications and we were very pleased with the standard of all the entries. The winning application was by Daniel Tareke, so congratulations to Daniel. A screenshot of his application is below and you can download his application from Sourceforge. There’s only until next Saturday (18th February) to get your entries in for our mobile developer challenge. More details on how to enter.